There's a new addition to the Inner Richmond's arts and crafts scene. 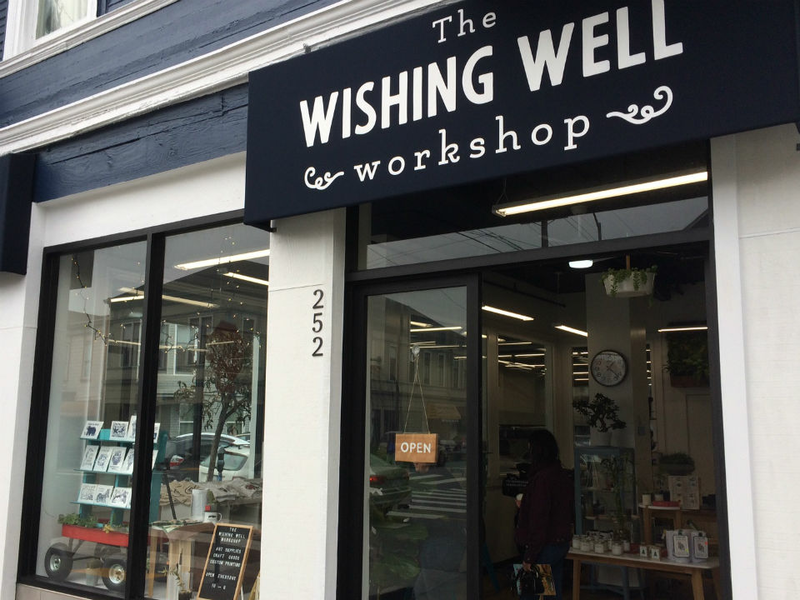 The Wishing Well, a newly minted art supply shop and printing studio at 225 Clement St. (at Third Avenue), bills itself as a haven for San Francisco-based artists and makers of all stripes. Jake Savas, who owns and operates the shop, said that though he has formal training in print and has worked in a number of print shops around the city -- including City Screen and My Trick Pony -- this is his first ownership venture. The Wishing Well, he said, is his way to maintain space in San Francisco for art and artists. "Everyone says artists are all leaving the city," he said. "That's only true if you keep saying it." "I was looking for a way to monetize my work as a printer," he said, "and also to keep this kind of thing in the city," to start his own endeavor and contribute to local creativity. The postage stamp-sized storefront on Clement Street, which is set inside a laundry and has classroom space downstairs, also sports a 102-year-old Chandler Price clamshell letterpress that Savas uses for running custom jobs. Wishing Well offers professional letterpress and silkscreen printing services, a wide range of paints, brushes, drawing and craft supplies, and house lines of cards and pins. And shortly after the new year, Wishing Well will kick off a series of print classes, Savas said. The first one, some time around January 14 or 21 but not yet set in stone, will will likely be a stamp-carving class. Savas co-owns the shop with Jimmy Hsu, the longtime owner of Blue Danube Cafe, where Savas used to work. The Wishing Well is open 10 a.m.-6 p.m. daily.